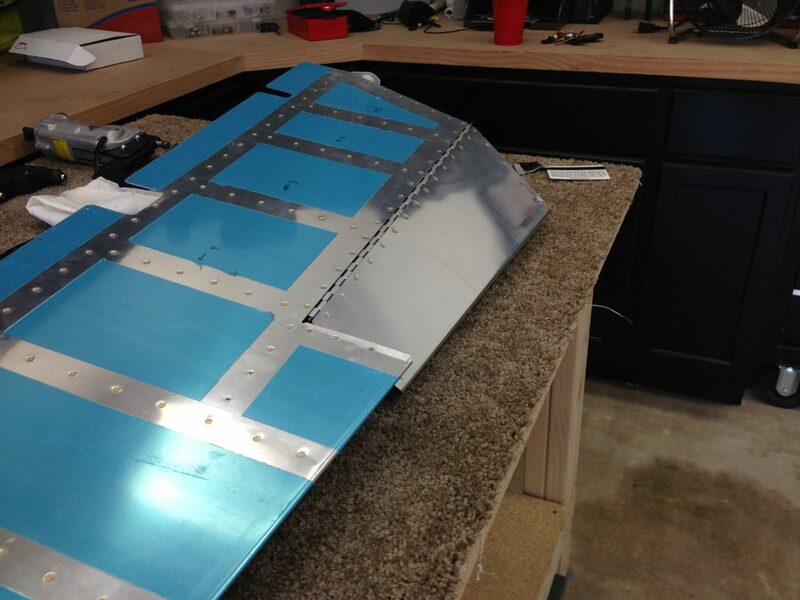 The task for yesterday was to finish up the trim tab. The first order of business was to figure the exact placement of the hinge on both the tab and the elevator. 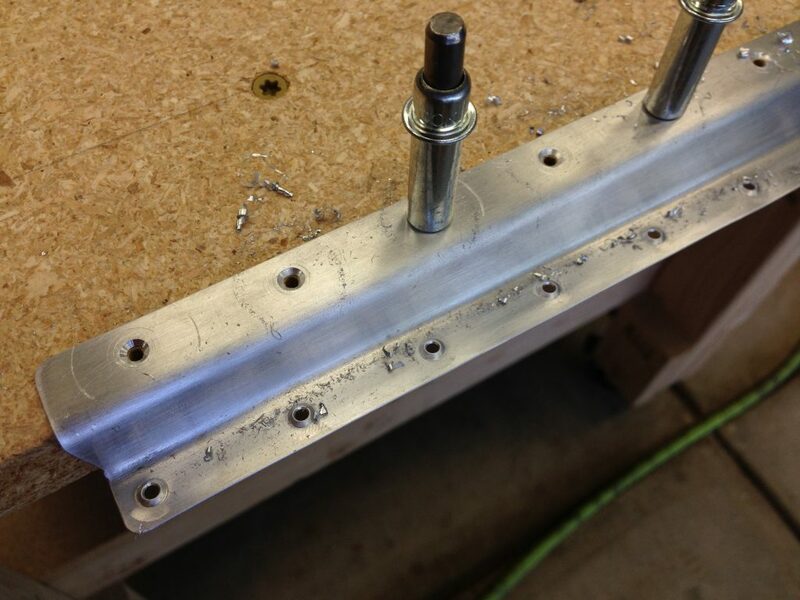 The plans give you the measurement on the outboard edge of the trim tab side, 3/8″ outward from the last hole on the skin/spar. So I lined up the edge to see how the barrels of the hinge lined up. 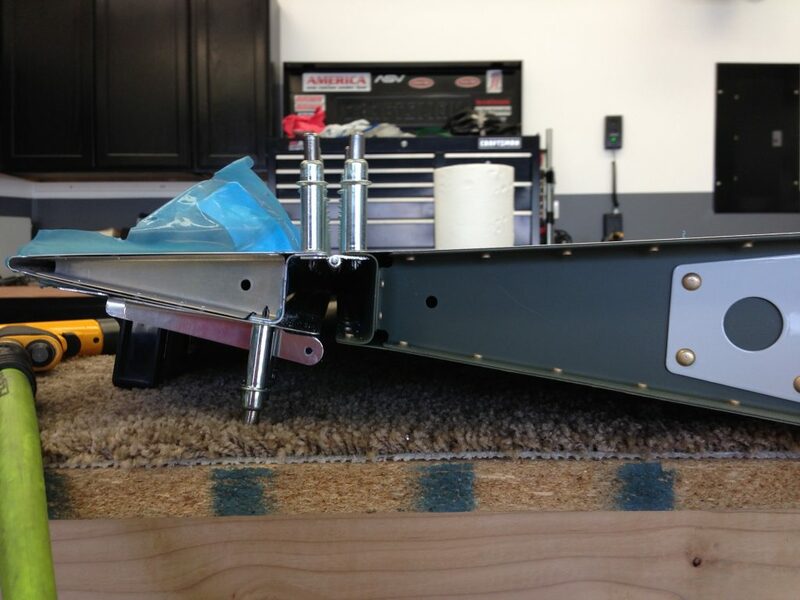 Once I established the length and placement of the hinge I drew a line 3/16″ from the straight edge of the hinge. 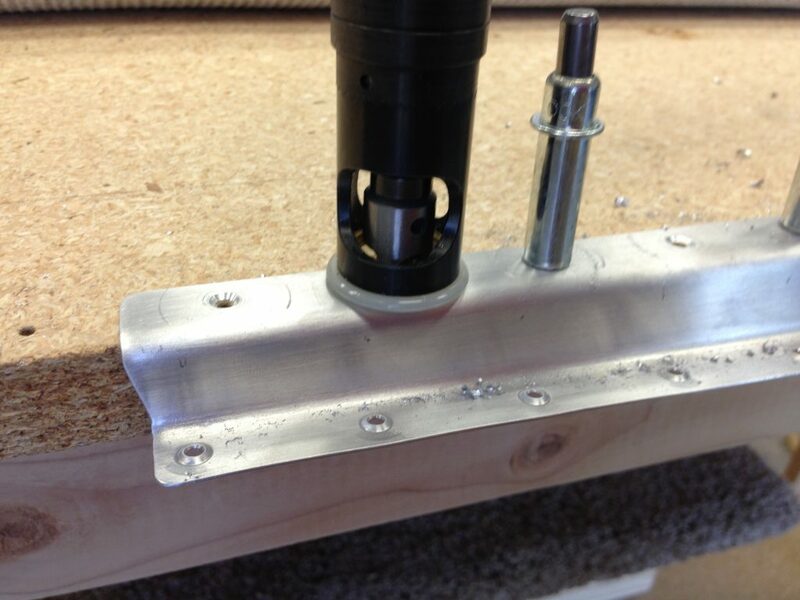 This was the center point of the flange of the hinge and a marking point for match drilling. 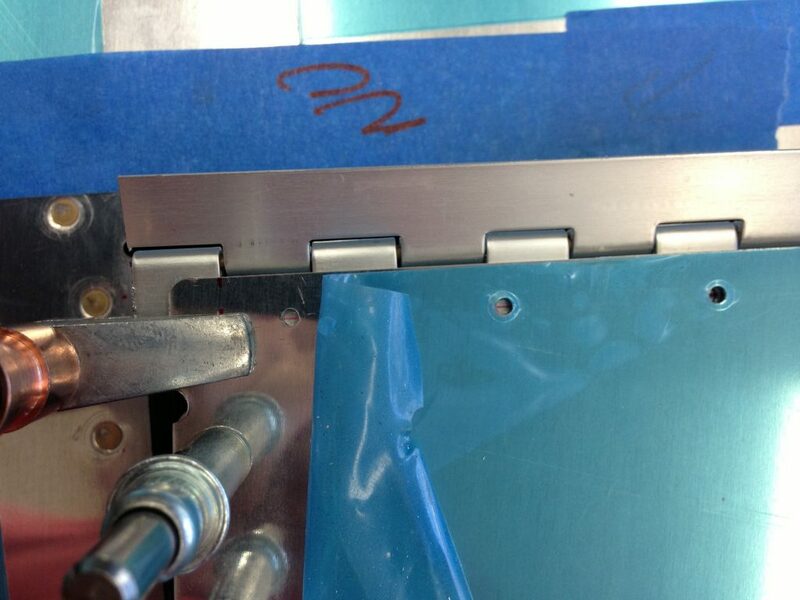 Then I marked the inboard edge of the tab side hinge to make it the shape match that of the skin and spar. 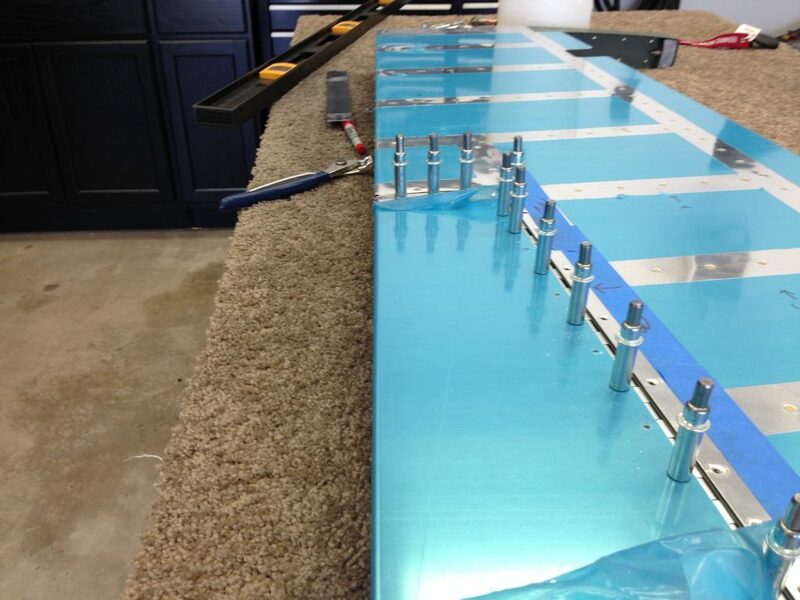 Once I had the shape right I clekoed the hinge to the tab and matched it up to the elevator. 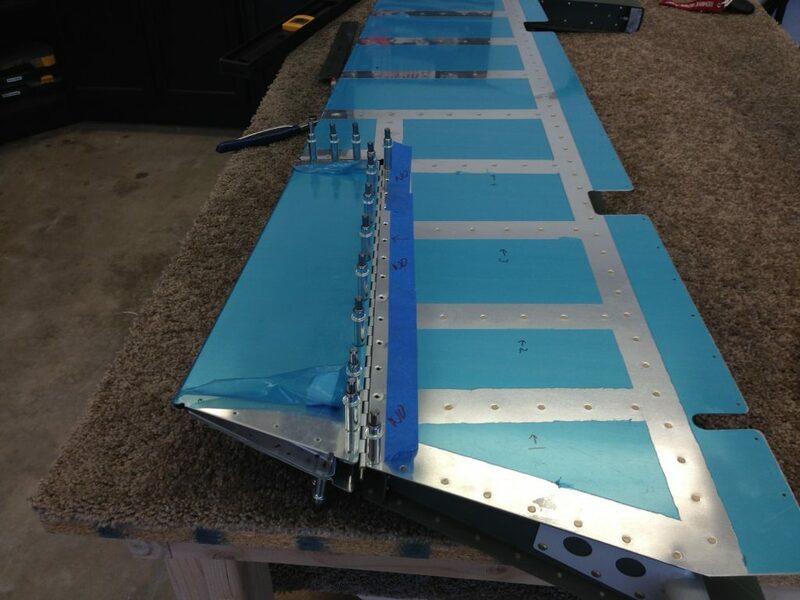 I had two goals: keep the inboard edge of the tab in alignment with the elevator and keep the trailing edge of the tab in alignment with the trailing edge of the elevator. 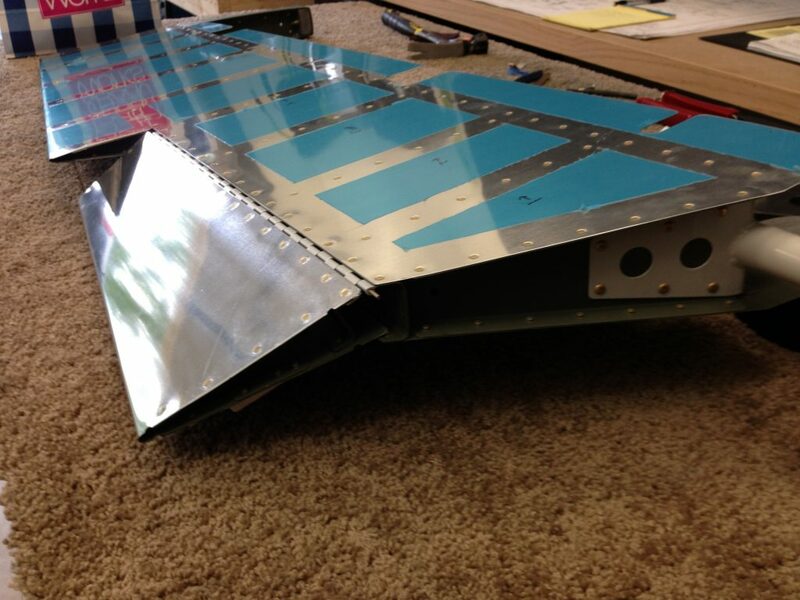 According to Van’s they are both important but the trailing edge is the most. 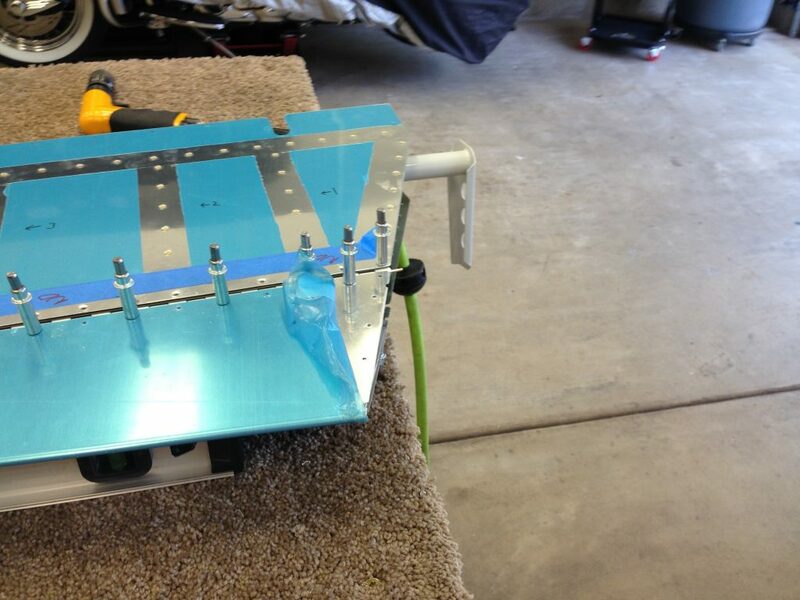 Once I had both of those goals lined up I drilled the two end holes of the elevator side hinge. With the two edges in perfect alignment the outboard edge was not, this was due to the cut I made being out if square with the leading edge of the tab. 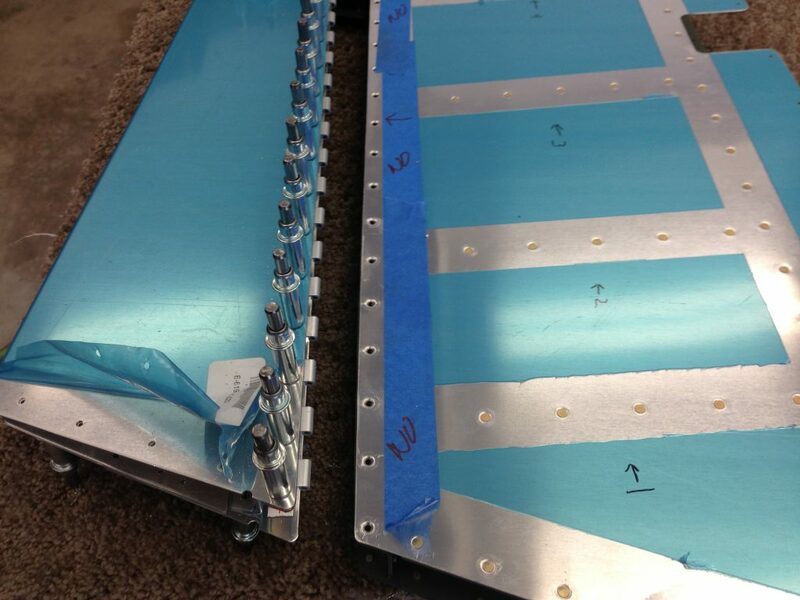 The plans call for a minimum gap between the outboard edge of the trim tab and the inboard edge of the elevator of 3/32″. 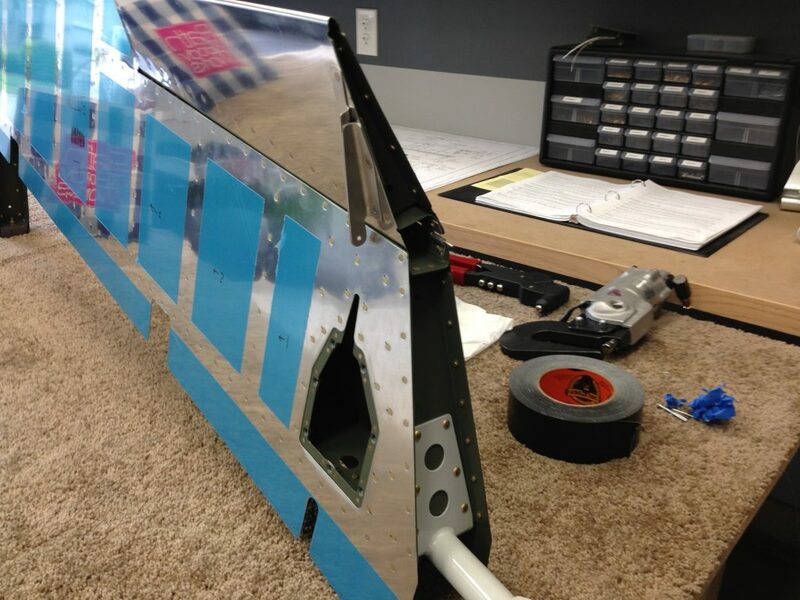 The forward edge of the tab had a gap of 7/64″ so I measured the same at the trailing edge of the trim tab. 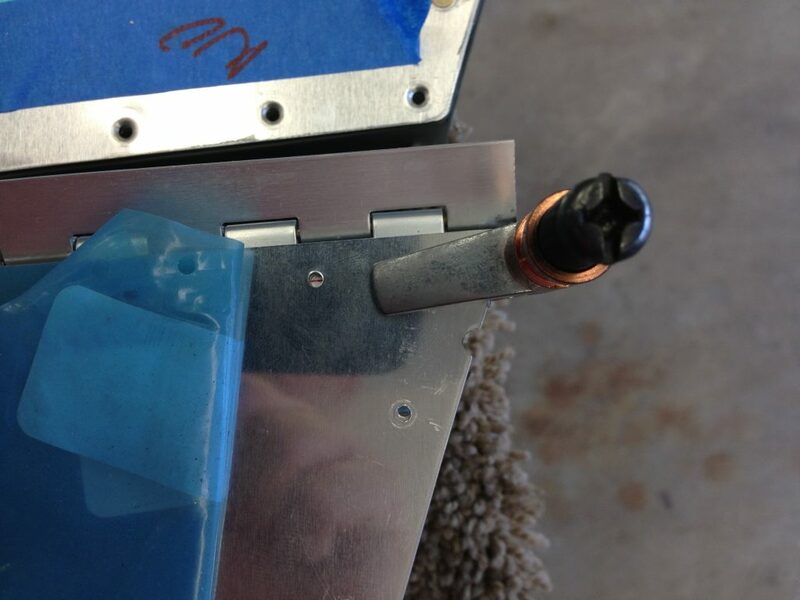 I then removed the trim tab from the hinge and checked the line I just made and it ended up perfectly square with the leading edge of the tab. So I took the tab to my Scotch-Bright wheel and worked the edge to the line on the top and bottom of the tab. The gap is now perfect and even. 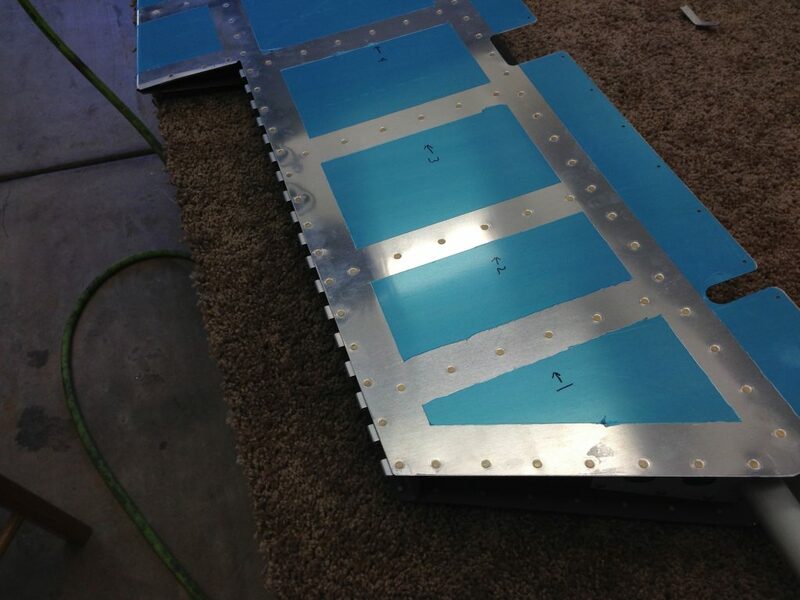 I rechecked the trailing edge alignment with a straight edge and it matches perfectly. A couple of nights I wrote about the hole that I figure 8’d on one of the riblets. After a good night sleep I decided that a small doubler would be a better solution for this problem. This would sandwich the bad hole between two good pieces of metal. It just worked out that there where two holes, one forward and one aft of the bad hole. 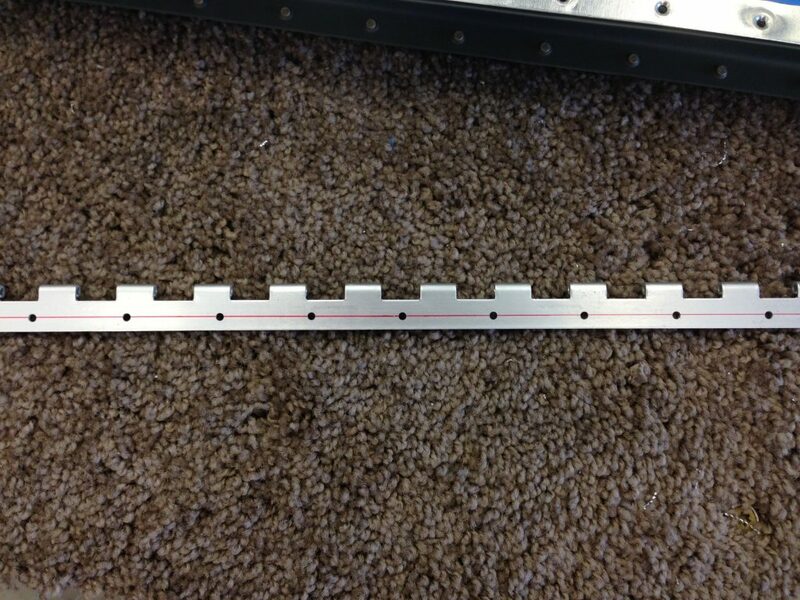 I measured the length giving me good edge distance and the width. I then cut the doubler from some scrap sheet that Van’s supplied with the empannage. I matched drilled it to all three holes and all looks good. Now that those tasks are done I could now disassemble the tab to take care of the edges, dimple and scuff all the parts. The dimples in the riblets were a lot of fun but made easier by using the pop rivet dimple dies. 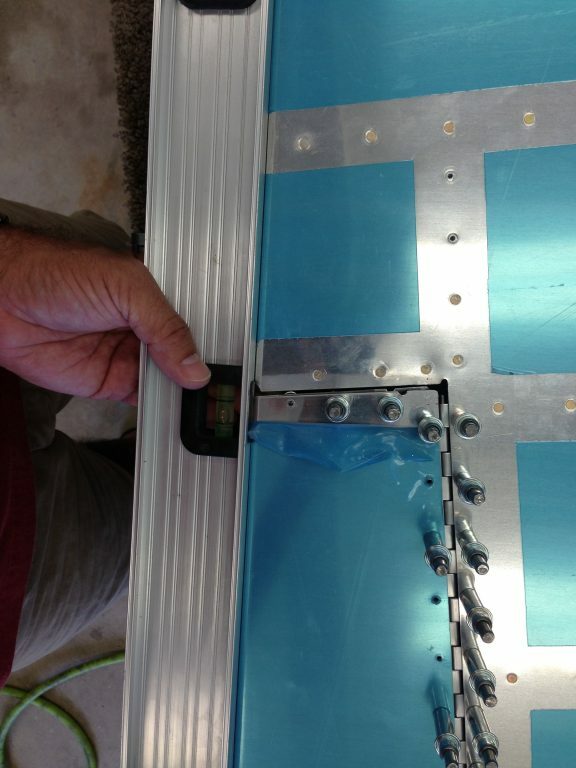 The top edge of the tab spar needs to be countersunk rather than dimpled like the matching spar in the elevator. 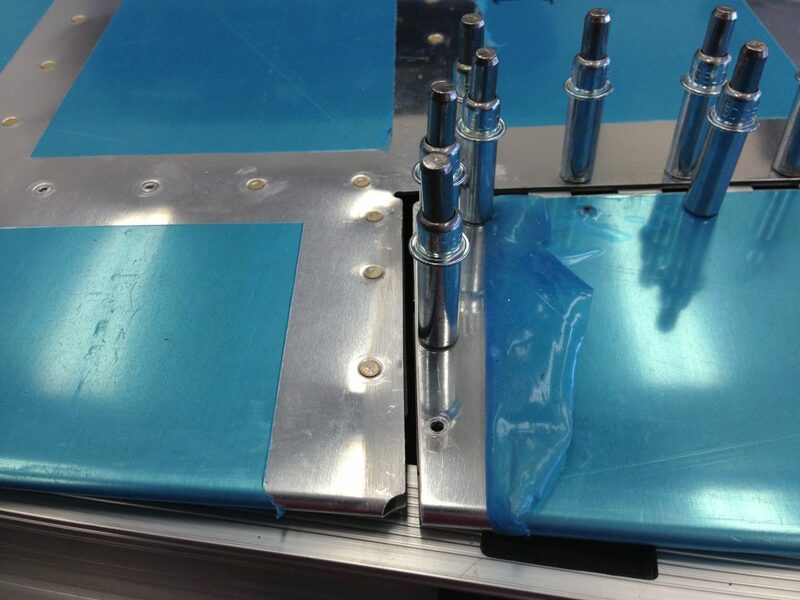 This is so that the hinge could sit flat on the spar which it couldn’t do if the spar was dimpled. 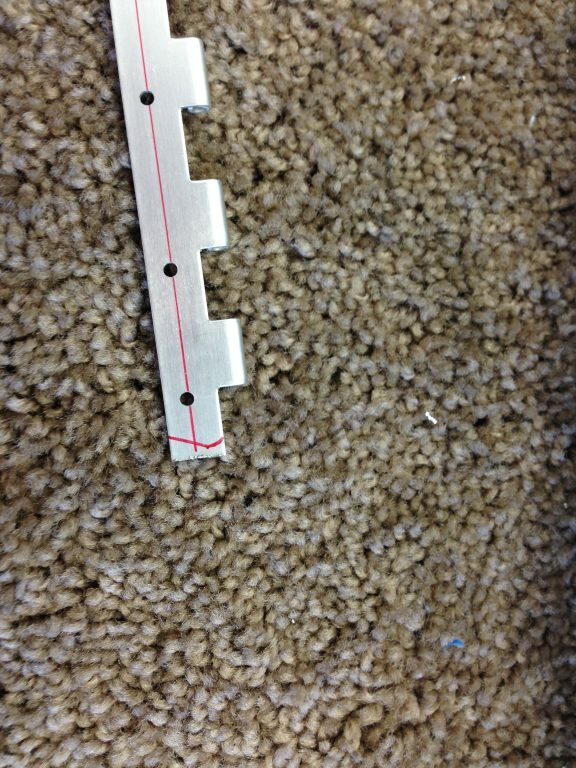 I rolled up the carpet on the work bench and used the matched drilled holes and countersunk the flange. I then cleaned all the parts for priming and started that process. 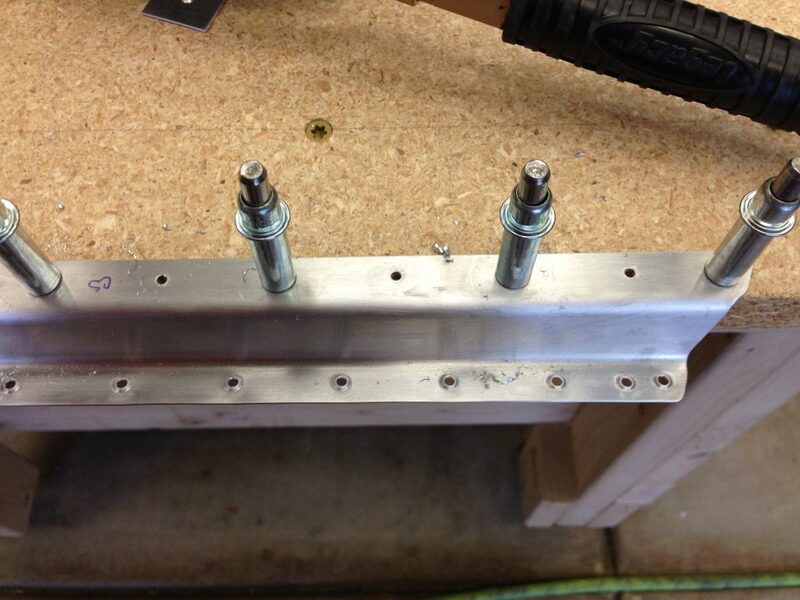 While the parts where drying I riveted the elevator side hinge. This was a little difficult to get to the shop head but I had several different size flush heads for the squeezer that worked. Riveting the tab was pretty easy, I just had to do a little thinking at the sequence of rivets as my tab was a little different from the plans. 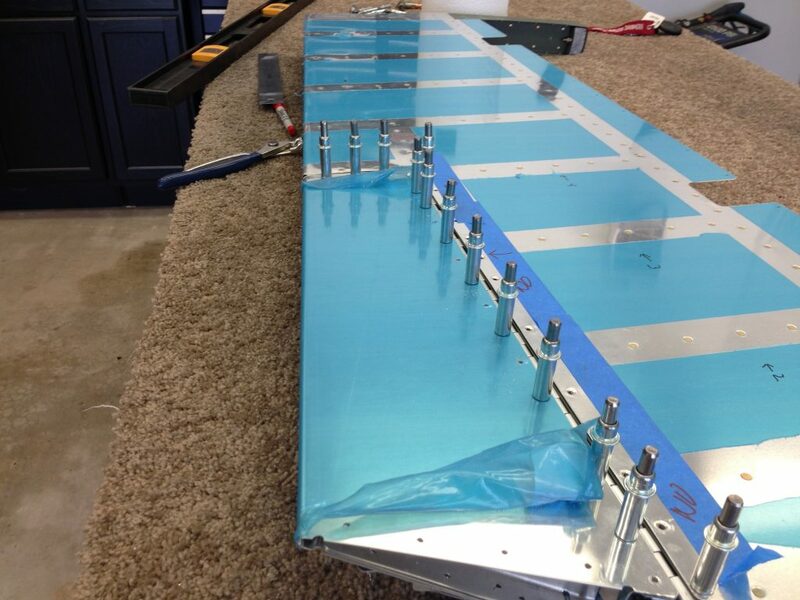 The inboard edge I had the skin, riblet, the two trim horns and the doubler to deal with. 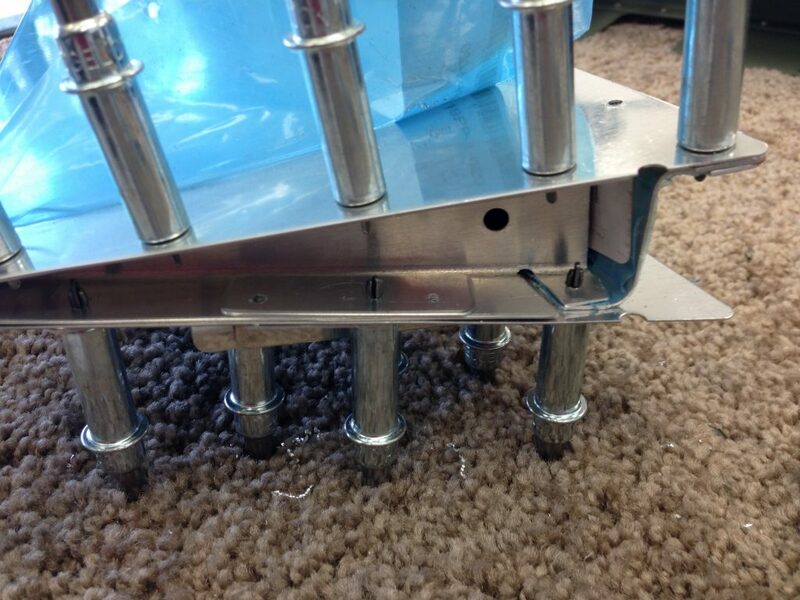 Some of the rivets for the horns were inside of the riblet and some were on the outside of it. So a little planning was in order. Once I had the plan it went pretty quick. 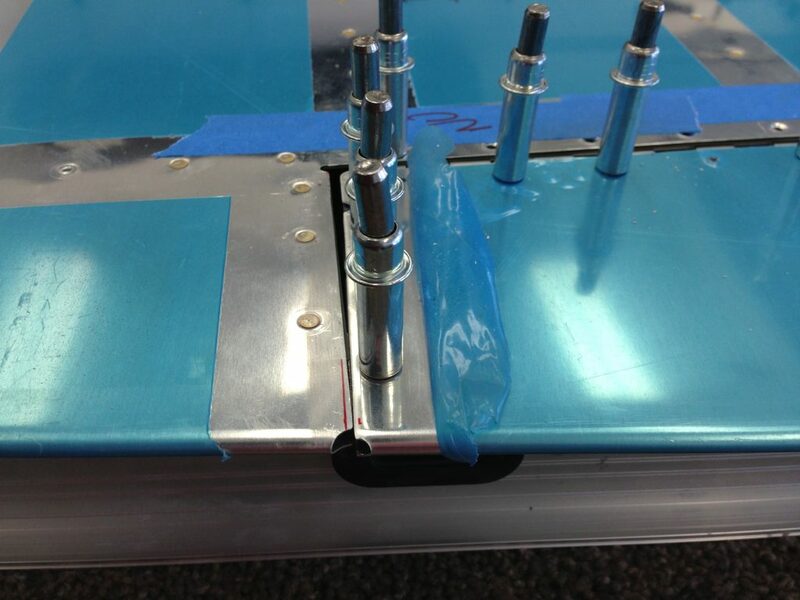 I then lined up the hinge and inserted the pin. All the edges looked great and the motion was perfect. Next up, rolling the leading edges of the left and right elevators.